Value Proposition defines the customers of Atlas and proposed values for each. The Customer Satisfaction measure uses direct conversation with customers via survey to measure value. 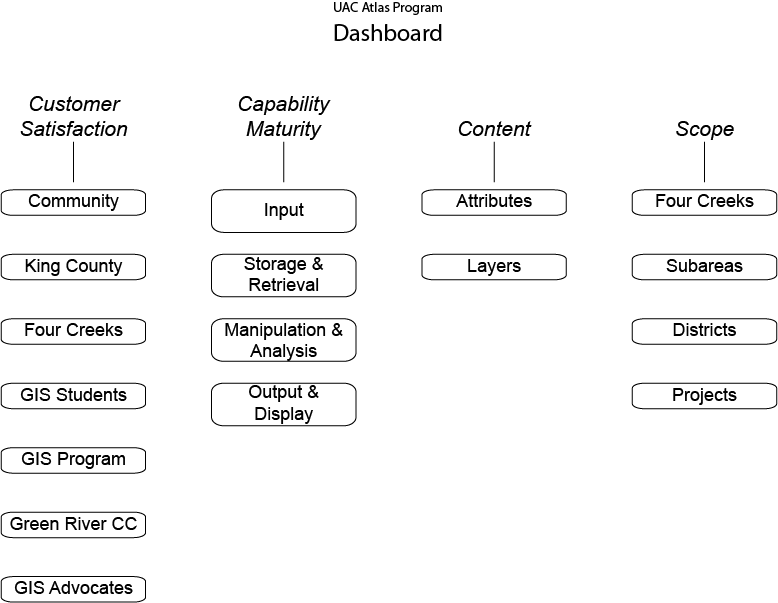 Architecture describes the Atlas "System" the customers of Atlas and proposed values for each. 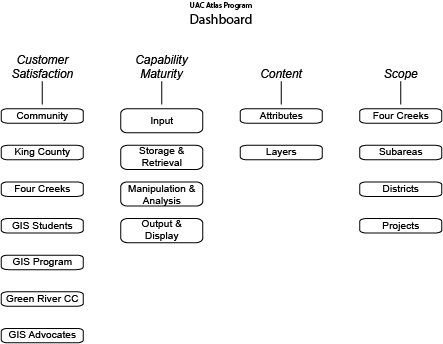 The Capability Maturity measure uses common methods to assess System capability. Content is focused on list of attributes (e.g. cartography, information, etc.) applicable to the maps and information in Atlas. It also measures the robustness of the content (e.g. number of themes). Scope measures both the areas (e.g. Sunset Valley Farms) covered by Atlas against an inventory of opportunities (e.g. all home owner associations). Projects describes the areas of Four Creeks where opportunity exists for Atlas content and capabilities.